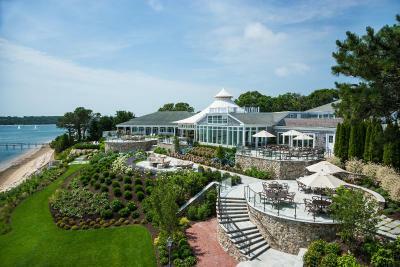 Lock in a great price for Wequassett Resort and Golf Club – rated 9.2 by recent guests! We were pampered at every turn. Never lacked for anything. Private boat to private beach including picnic and wines... lovely meals by the sea and in a cozy pub; offers to transport us to local spa... comfy rooms with our own water-view decks. Quiet evenings by the fire pit.... Very nice resort! I probably can’t say enough about this place. Our stay was amazing! Everything was great! Room and bathroom well designed and clean, staff so helpful and friendly, landscape perfectly professional manicured and beautiful picture asking, food was delicious too!! This place is amazing and me and my husband will be back!!! Staff was welcoming and grounds were immaculate! Outdoor dining is amazing. Definitely take advantage of the complimentary transportation to Chatham and/or surrounding areas. Mini bar and reasonable pricing made for a nice option to have a beverage on the patio of the room before heading out for dinner. We went there for our 15th anniversary. The service was amazing. They surprised us with a bunch of extras, like champagne and chocolate covered strawberries to celebrate our anniversary. Everything was perfect. Absolutely fantastic! Gorgeous property, fantastic location and amazing amenities. Booked our next trip back before we’d even left! The food was impeccable and the staff so attentive! !Beautiful grounds and wonderful brunch!! Comfortable bed, chairs. Needs redecorating. Landscaping is beautiful. Housekeeping and service was very good. The resort is top notch. It is expensive-but you don't mind paying because the service, staff and dining is beyond incredible. This resort will definitely be added to our annual get away list! The bed was wonderful, the dinner and breakfast were outstanding. The boat ride we took to the National Seashore was a beautiful trip. I have a broken ankle so we didn't get off the boat, we just looked at the view and the seals. Beautifully landscaped and maintained property. Pool and beach picturesque. Most staff members very accommodating. Wequassett Resort and Golf Club This rating is a reflection of how the property compares to the industry standard when it comes to price, facilities and services available. It's based on a self-evaluation by the property. Use this rating to help choose your stay! 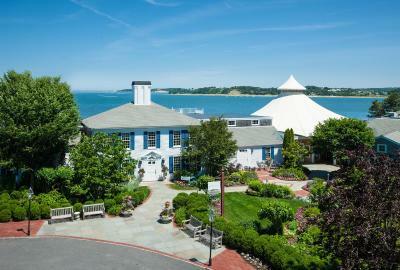 This Harwich waterfront resort offers an 18-hole golf course, free Wi-Fi, and brightly colored rooms that offer a sitting area and plush bedding. Central Harwich is a 10 minute drive away. 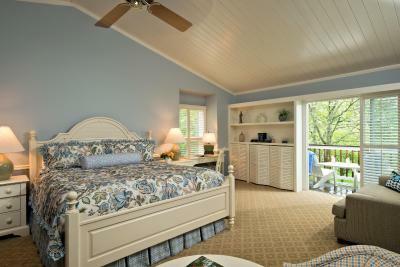 A work desk along with a private deck or patio is offered in each room at Wequassett Resort. Coffee making facilities and a private bathroom are also included. 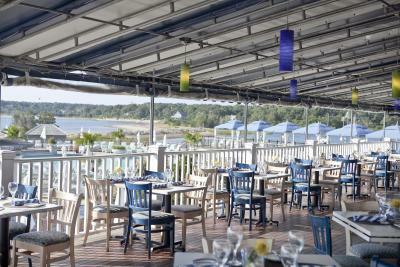 Twenty-Eight Atlantic Restaurant offers waterfront dining and serves succulent seafood cuisine. Other dining options serving American classic cuisine are also featured. 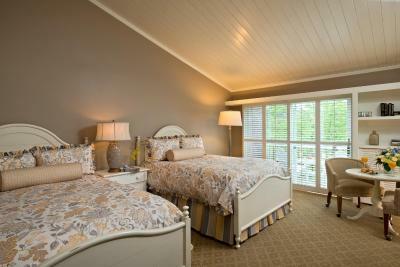 Guests can swim in the seasonal outdoor pool or relax in the hot tub. 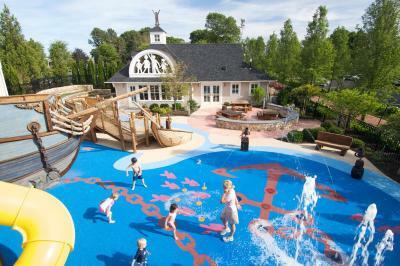 A fitness center, children’s playground, and tennis court are also available. Cape Cod National Golf Center is a 5 minute drive from Wequassett Resort and Golf Club. Cape Cod National Seashore is 18 miles away. 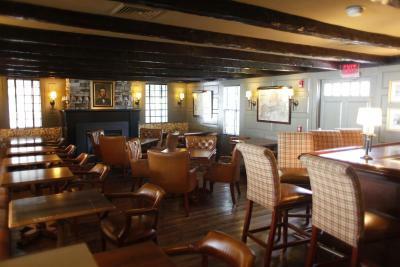 This property also has one of the top-rated locations in East Harwich! Guests are happier about it compared to other properties in the area. This property is also rated for the best value in East Harwich! Guests are getting more for their money when compared to other properties in this city. 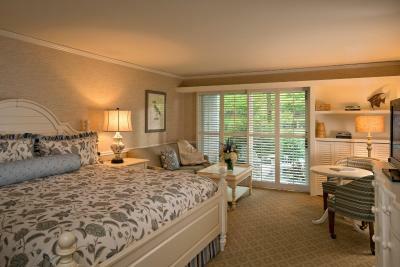 When would you like to stay at Wequassett Resort and Golf Club? This room features a work desk and sitting area with view of the grounds. This room has cathedral ceilings and a private balcony. 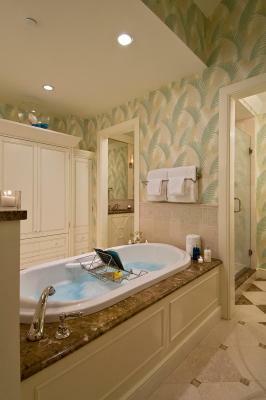 House Rules Wequassett Resort and Golf Club takes special requests – add in the next step! Wequassett Resort and Golf Club accepts these cards and reserves the right to temporarily hold an amount prior to arrival. The room was super clean and the fireplace was a bonus! Location, food, service all perfect. Needed an indoor spa for the price we paid Weather was mixed so couldn’t use the outdoor pools. Added resort tax then taxed it. For turn down service and use of the resort. The room initially allocated (a room with a garden view) was uninspiring to say the least. The garden view was of a small plant and some grass with another property just beyond! The entrance door was fault/worn out and required attention from the maintenance people to work correctly. I was disappointed with this room and had to pay extra to upgrade to a better room with a sea view. The property is perfectly located on Cape Cod to allow easy exploring of the area and is very close to the charming town of Chatham when you need to take a break from the resort. The tennis club facilities were excellent, although we had no time to try the golf club. The restaurants were both good, with the main dining room having fantastic views over the bay. The room, although we upgraded on arrival, also benefitted from a fantastic view of the water. Check in process is very annoying. It is suppose to be 3 o’clock check in but my family got their room st 4:30. Coming out of town with little children and infant that wait is a disturbing highlight for a resort check in. Staff was AMAZING. Great pool area. Really nice outdoor bar & restaurant. We did not try the other restaurants. The property and grounds are exquisite! Not much..... Perhaps a bit pricey but a great place. The food was absolutely fantastic as was the entire staff. No large common areas. Everything is outside so there wasn't anywhere to go to get out of the room since we were there during a tropical storm. Some rooms on the water are all redone. 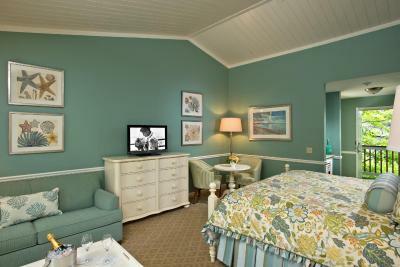 The rest of the rooms are very old and in need of a complete overhaul. Very noisy- walls and ceiling paper thin. It was distressing trying to sleep with a man upstairs who paced the floor (loudly) all night long. Our "garden room" was simple a larger than average hotel room. So the booking.com price was too high for what it is. I cannot imagine spending the 700+ per night as a regular rate. Overpriced for what it is. This is not a reflection of booking.com, it's a reflection of this hotel thinking it is something it is not. I believe it is basically a wedding banquet facility.